Actress Shruti Haasan says that working with her father was fun and a learning experience for her. 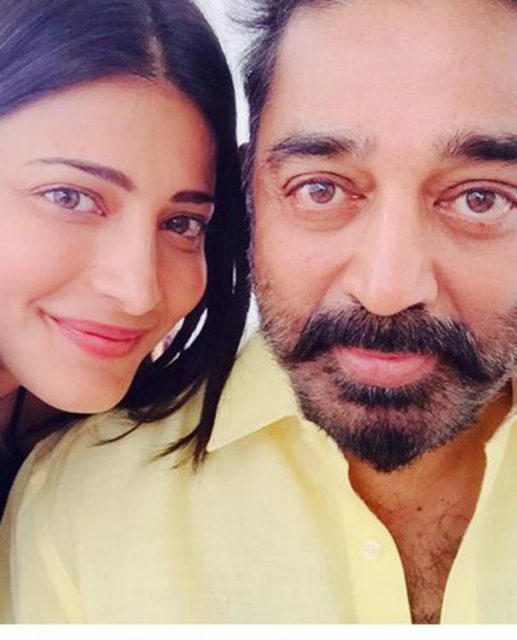 Actress Shruti Haasan, who has worked with her father and actor Kamal Haasan for the first time in the film “Shabhash Kundu”, says that working with her father was fun and a learning experience for her. “In ‘Shabash Kundu’ working with papa (Kamal Haasan) was really fun because I learnt a lot and its really memorable experience for me,” said Shruti on the sidelines of the Femina Stylista West competition where she was a judge, on Friday here. “As far as ‘Yaara’ is concerned, we are waiting for its release. It is still in post-production stage. I really had so much fun while shooting for that film. I really hope that people can see it soon,” Shruti added. “As far as ‘Yaara’ is concerned, we are waiting for its release. It is still in post-production stage. I really had so much fun while shooting for that film. I really hope that people can see it soon,” Shruti added. Shruti was last seen with Rajkummar Rao in “Behen Hogi Teri” and was trolled on social media for her weight gain for the film. But the actress is not at all affected by it and thinks that social media is a very good medium to connect with people. “I am here just to give my support and little bit opinion. I think it’s lovely because it’s not like a pageant that how people expect you to be and present yourself. I think it’s about personality. The contestants have their own style and personality so that’s why I am really happy to be here,” said Shruti. Kamal’s directorial “Shabhash Kundu” will be made in the Tamil, Telugu and Hindi languages simultaneously. The film will also feature Vir Das, Anant Mahadevan, Gul Panag and Ramya Krishnan among others.